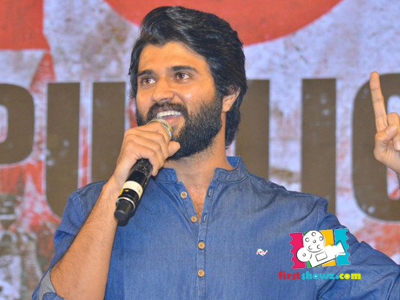 Vijay Devarakonda is promoting NOTA on a full-fledged scale. The Tamil, Telugu bilingual NOTA is scheduled for October 5th release, but the film is undergoing controversies and censor troubles for its political content. Vijay Devarakonda however clarifies that NOTA doesn't have any content that targets or favors any political party. But he surprised everyone saying that NOTA can influence the voters in choosing the right leaders and better governance. The film has undergone censor troubles with board members asking them to mute some political words. Directed by Anand Shankar and produced by Gnanavelraja under Studio Green production, NOTA has Mehreen Kaur as the female lead. The controversies over NOTA has definitely increased the hype for the film.